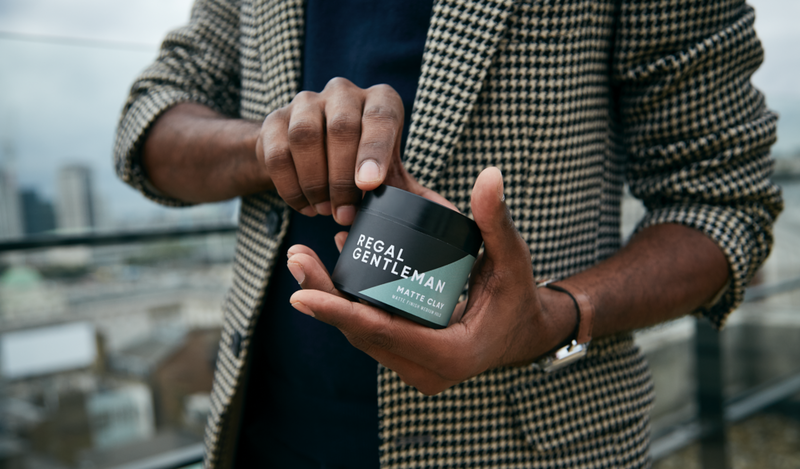 Created by two childhood best friends, Regal Gentleman is an exciting new male grooming brand. Liam and Josh founded the community in 2013 and now with an ever increasing following have created their own brand of hair care products. When Josh and Liam started their business their primary focus was to sell tried and tested men’s grooming products. This was a successful start, growing their following and community. Last year they embarked on a new journey, creating and manufacturing their ‘own-brand’ products. All cruelty free, their products are used and tested by their faithful following, only taking a new product to market when they’re 100% it’s the best it can be. I worked closely with the guys to refresh their brand identity and to create a visual design for their first product Matte Clay. We also produced a look-book alongside a new range of mail order packaging. So far the product has been met with high praise from the Regal community as well as a host of professional barbers. Not only is Regal Gentleman a great brand to work with, Josh and Liam truly care about the wellbeing of their customers and I’m so excited to see where their journey takes them.